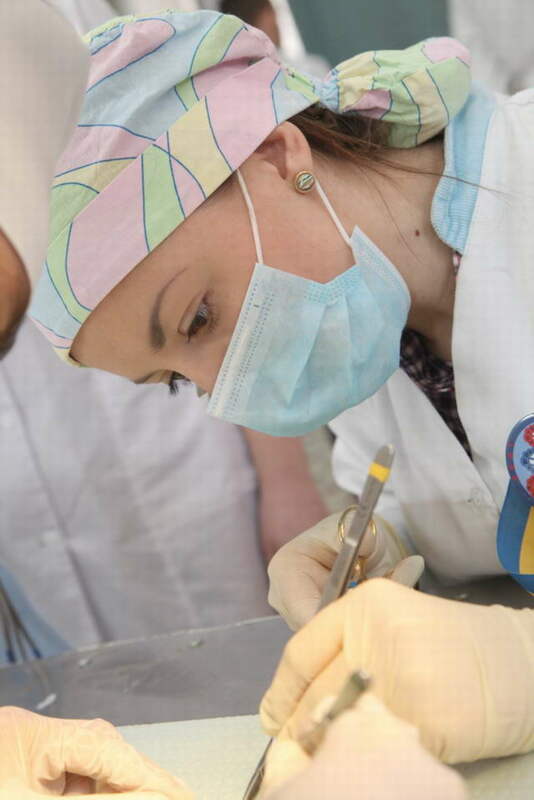 Ist all-Ukrainian competition on practical surgery, organized and performed by department of operative surgery and topographic anatomy (acting head – assistant professor O.B. 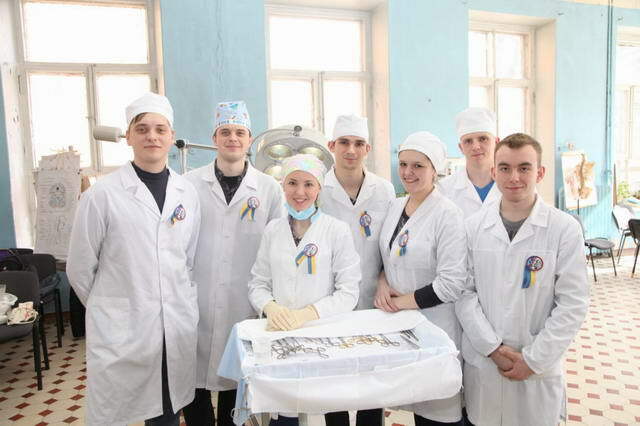 Kobzar), was held on 21 and 22, March, 2014 at Bogomolets NMU. The teams from Vinnytsia M.I. Pirogov NMU, Ternopil I.Ya. Gorbachevskyy SMU, Donetsk M. Gorkyy NMU, Kharkiv V.N. Karazin NU and a participant from Crimean S.I. 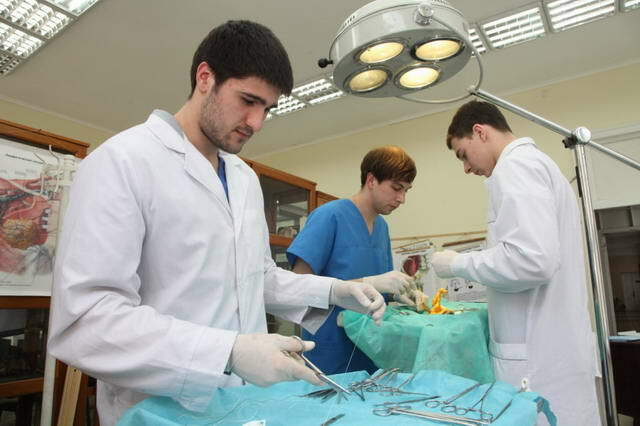 Georgievskyy SMU took part in competition. NMU was represented by team “Armata manus” (D. Shamray, O. Popandopalo, Ye. Kutsenko, Ye. Maystrenko, I. Sovgyra, I. Kolbasiuk). 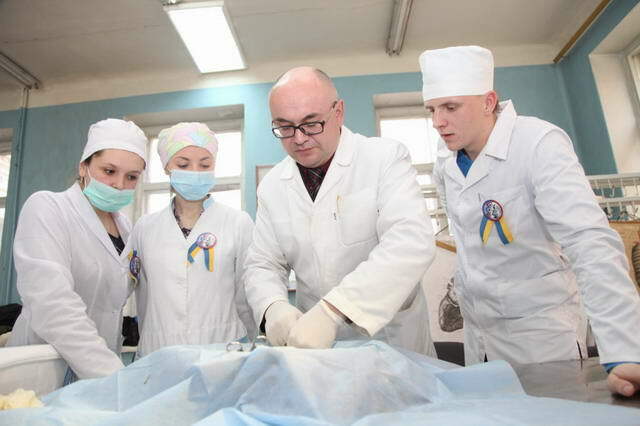 On the first day of competitions during opening ceremony the head at department of operative surgery and topographic anatomy O.B. 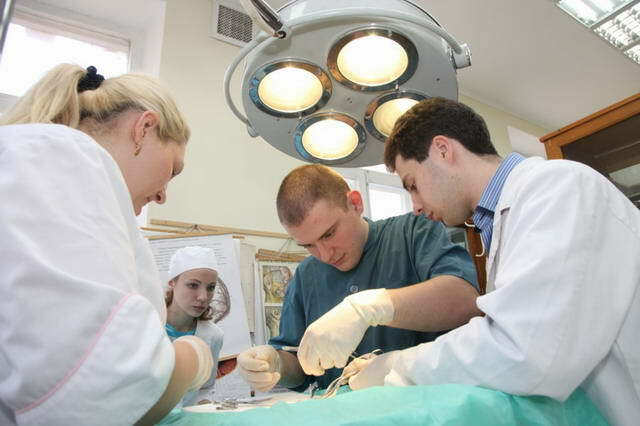 Kobzar, emphasizing the actuality for performance of such competition, reminded of glorious traditions in one of the first departments at medical faculty in Saint Volodymyr University – department of operative surgery, expressed the confidence in expediency for annual performance of this competition on the base of different medical universities in Ukraine. 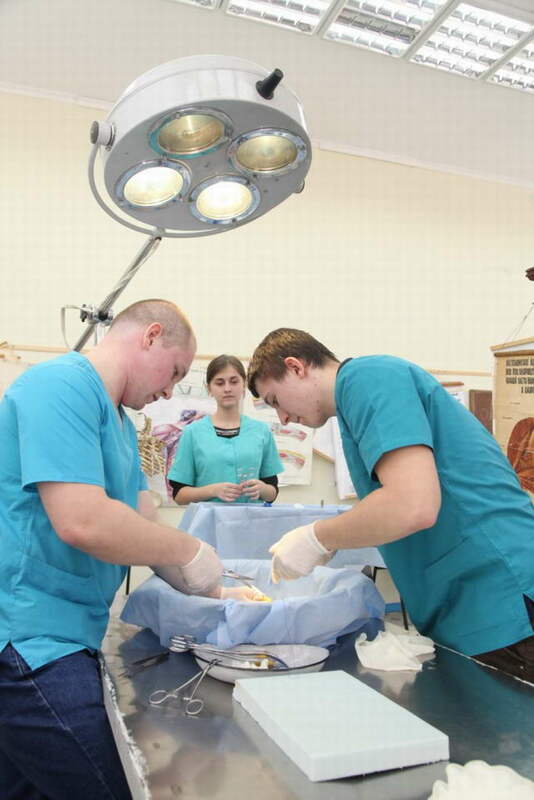 After creative presentation the teams took part in practical competitions on putting of intestinal anastomosis, vascular anastomosis, and tendon suture, knowledge of tools, skin suture, and desmurgy. The evaluation by judges, consisting of teachers at department of operative surgery and topographic anatomy assistant professors O.B. Kobzar, S.V. Doroshenko, A.P. Ditkovskyy, N.Yu. Radomska, assistant K.O. Prokopets and V.Yu. Yershov, defined the winners. It should be mentioned about high level of practical preparation of teams and insignificant difference in received results. Thus only the competition “Attention to the screen” that anticipated the knowledge of theoretical material for statement of diagnosis and choice of treatment tactics, enabled to define the final results. 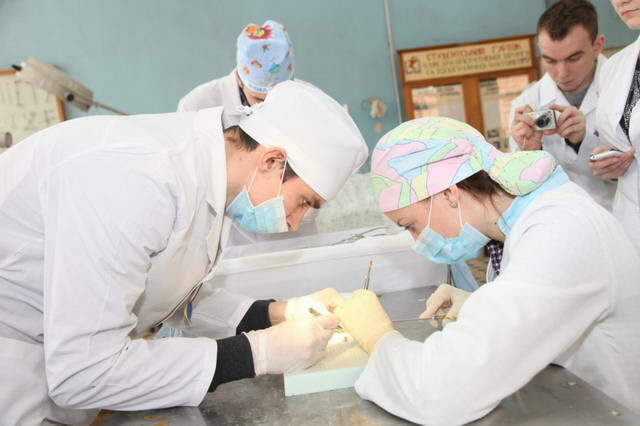 The 1st place was taken by team “Hippocrates’ DNA” (VNMU), the 2nd place – team “Armata manus” (NMU), the 3rd place – team “Vivarium” (DonNMU). 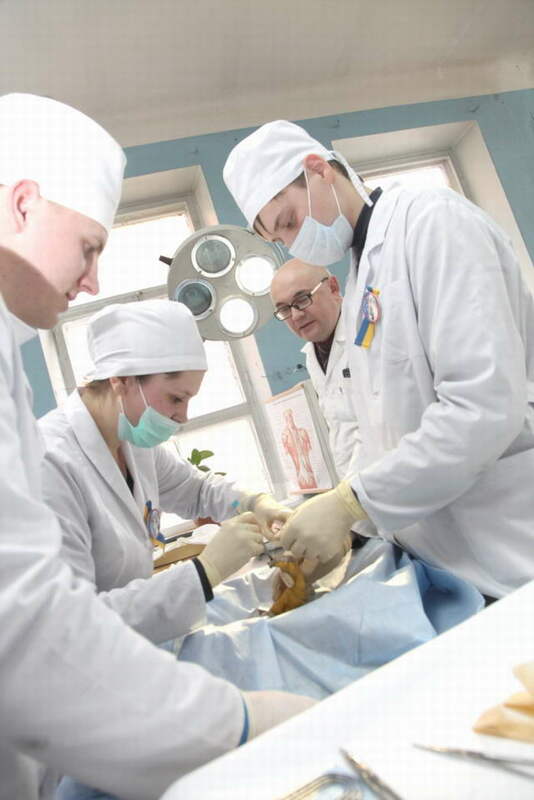 The first place in each sub-competition: tendon suture (“Armata manus”, NMU), vascular suture (DonNMU), desmurgy (VNMU), tools (participant from CSMU), attention to the screen “Armata manus” (NMU). The second day started from solemn meeting. The curator of competition assistant professor S.V. Doroshenko presented the diploma of three degrees to winners, diplomas of winners in separate kinds of competitions and certificates of participants. Captain of team from Donetsk NMU mentioned about high level in performance of competition and set forth the idea about organization of such competition on the base of Donetsk NMU next year. 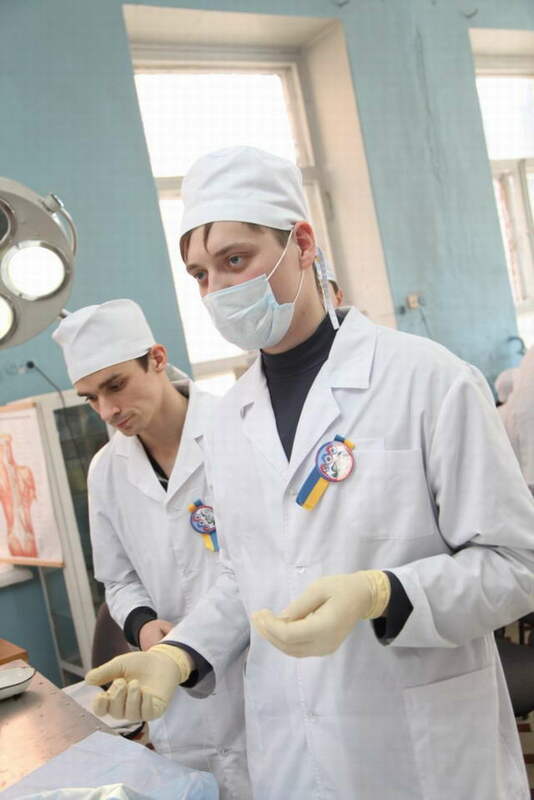 The meeting was continued by lecture of captain of team and monitor in club of operative surgery in Bogomolets NMU, student of the 6th course in medical faculty No 1 Dmytro Shamray on topic “Primary surgical treatment of bullet wounds in extremities. Penetrating wounds of stomach”. Further with support by professor at department of surgery No 1 in NMU M.D. 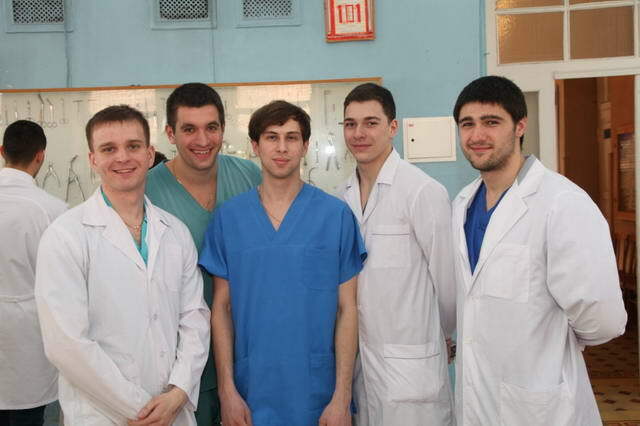 Kucher they organized the master class on laparoscopic surgery for participants in competition. 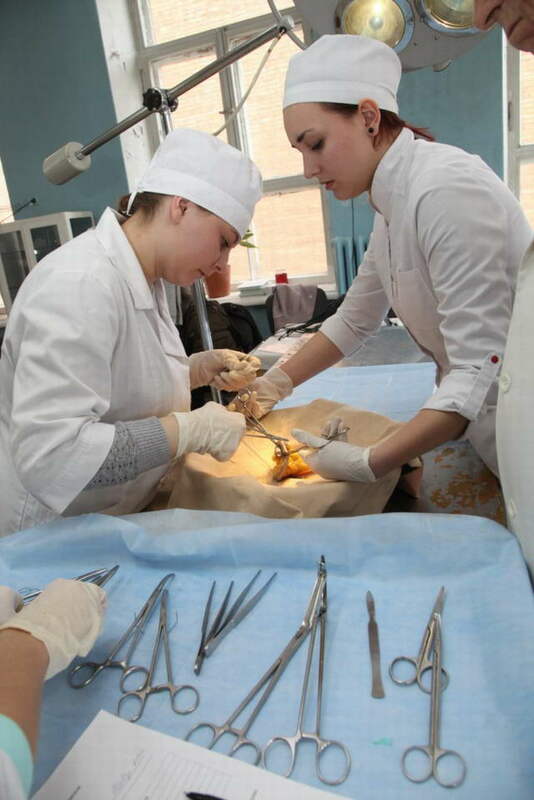 Students practiced in suture of enterotomic section. 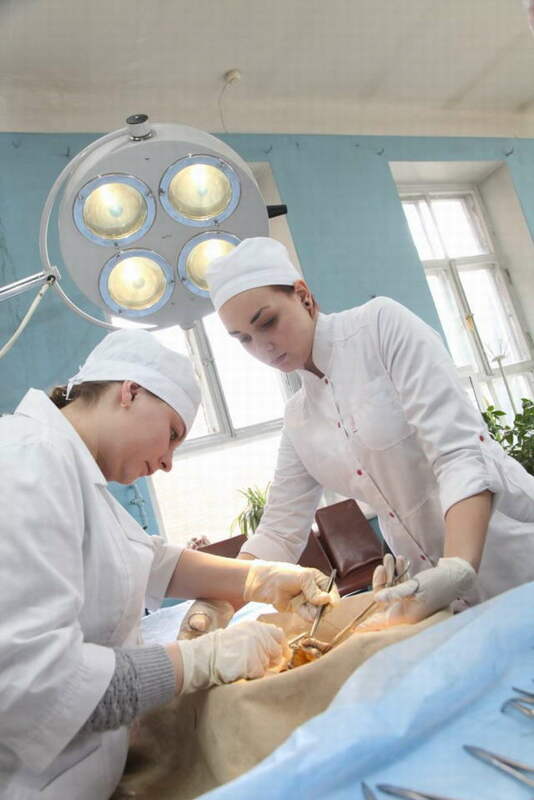 The second day finished by brain ring on surgery. 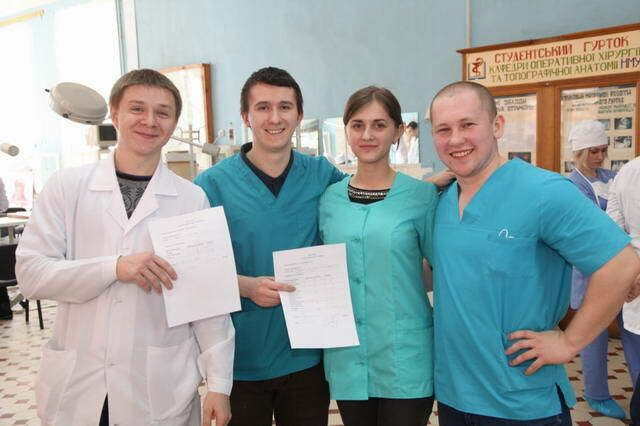 The winners took the following places: 1st place – team “Armata manus” Bogomolets NMU (captain D. Shamray); 2nd place – team “Hippocrates’ DNA” Vinnytsia M.I. Pirogov NMU (captain A. Levanchuk), the 3rd place – Ternopil I.Ya. Gorbachevskyy SMU (captain L. Ilnytska). The participants in competition expressed the sincere gratitude to administration of University and collective at department of operative surgery and topographic anatomy (acting head – assistant professor O.B. Kobzar) for assistance in organization and performance of competition.